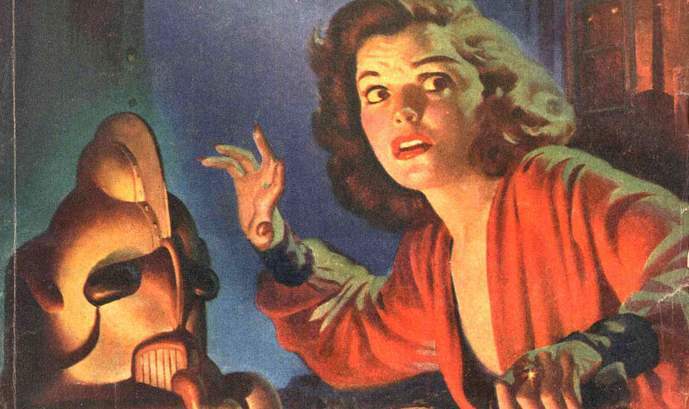 The Shaver Mystery is part of the history of Amazing Stories Magazine, but it is certainly not considered one of the magazine’s shining moments. Barry Malzberg touched on it briefly in his first blog post here. 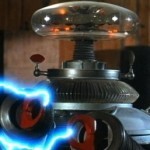 In a nutshell, the Shaver Mystery was the “UFO phenomenon” before the actual UFO phenomenon. 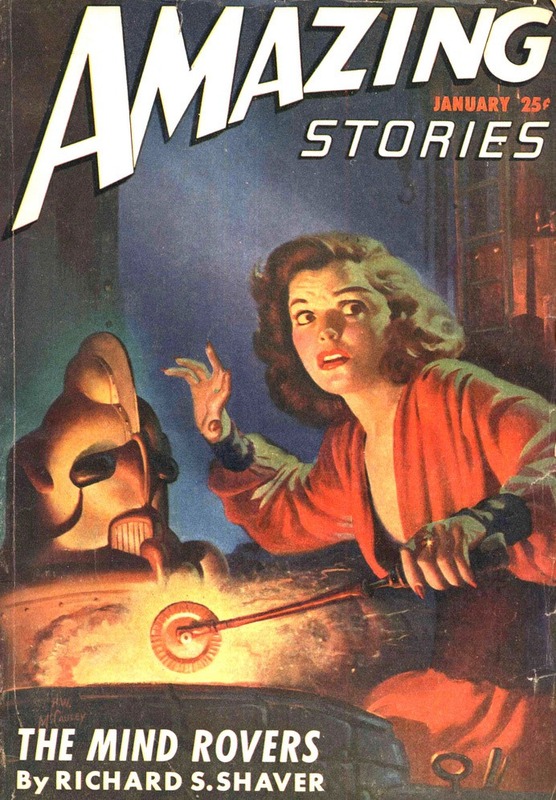 In 1943 Richard Sharp Shaver began writing letters to the then publisher of Amazing Stories, Ray Palmer detailing the existence of a sinister, ancient civilization living below the earth’s surface. In caverns deep underground these beings, called Deros, harbored fantastic technology and occasionally kidnapped people from the surface and performed unspeakable tortures upon them. Shaver’s semi-coherent ramblings, which he claimed were delivers to him telepathically through his welding machine in the factory in which he worked (I’m not making this stuff up, I swear) caught Ray Palmer’s attention. Instead of referring him to a psychiatrist, Palmer contacted Shaver and encouraged his delusions, prompting him to write more and more about this fantastic story. Perhaps it started out as an amusing diversion, but Palmer published Shaver’s letters. He re-wrote Shaver’s 10,000 word letter, originally entitled “A Warning to Future Man” he added 20,000 more words of exciting plot and retitled it “I Remember Lemuria”. It was published in the March 1945 issue. 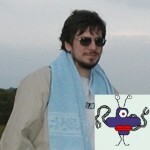 The issue sold out and generated a significant response. People wrote letters attesting to the truth of Shaver’s claims. Sales increased and soon over 75% of the magazine’s content was given over to writings about the Shaver Mystery. 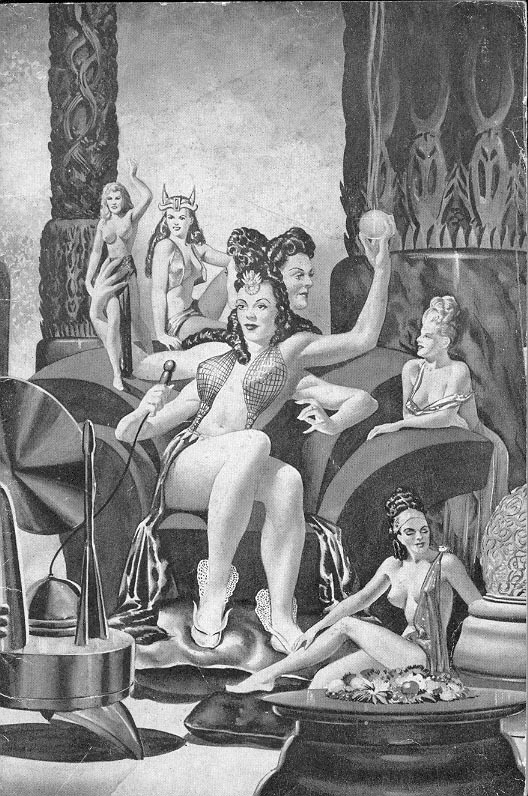 Whatever you feel about the right or wrong about the Shaver Mystery, the phenomenon produced some amazing art during its run in Amazing Stories and when it eventually moved to its own dedicated publication, The Shaver Mystery Magazine in 1947. The first Shaver Mystery cover was the March 1945 edition which featured “I Remember Lemuria” as the cover story. 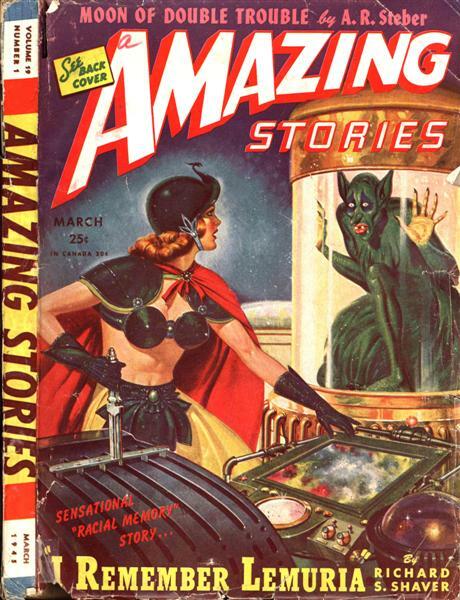 The cover for that issue was by Robert Gibson Jones and depicts a metal bikini-clad woman (a ubiquitous sight on pulp covers of the time) in black rubber gloves preparing to throw a massive switch while regarding a green bat-like creature in a glass cage. One would assume that the switch will do something nasty to the critter and the critter seems to know it, judging by its expression. The artwork looks pretty standard for a pulp cover. I imagine readers were anticipating an exciting science fiction story. What they got was an assurance that this was all real! Some called it a hoax. Perhaps it was. I’m certain that Palmer had little doubt that Shaver’s hold on reality wasn’t all that firm. Nevertheless, he certainly wasn’t above exploiting it for his own purposes. When the issue sold out, there was no turning back. January 1947’s cover was by H. W. McCauley and sports a frightened looking woman (who kind of resembles the actress Patricia Neal). She is in a metal room holding some sort of wand or stick into a fire or some sort of forge. A strange looking helmet sits nearby. She is startled by something that the viewer can’t see, but by her frightened expression it can’t be good. THE MIND ROVERS blares the bold typeface, a story attributed to Richard Shaver but likely “sweetened” by Palmer himself. 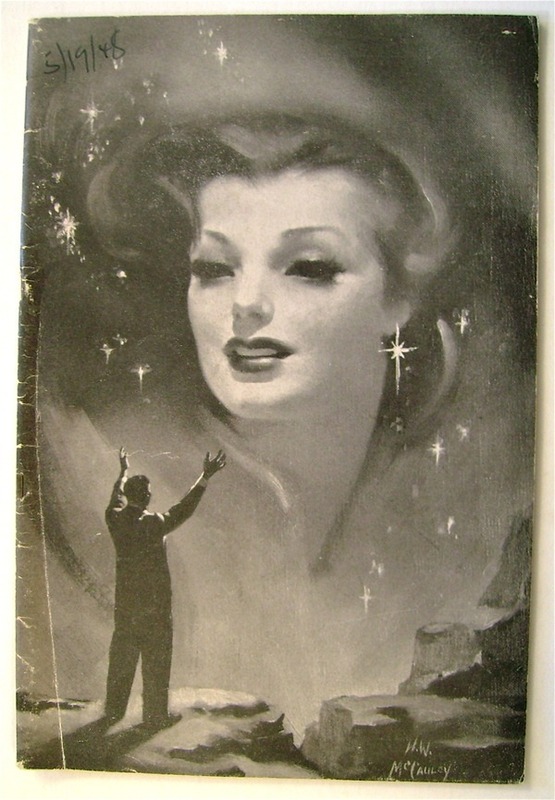 Here’s another Robert Gibson Jones cover. This one is from two years later, June 1947. No holds barred now. The bold title is THE SHAVER MYSTERY, and the subtitle boldly states that it is “THE MOST SENSATIONAL TRUE STORY EVER TOLD”! 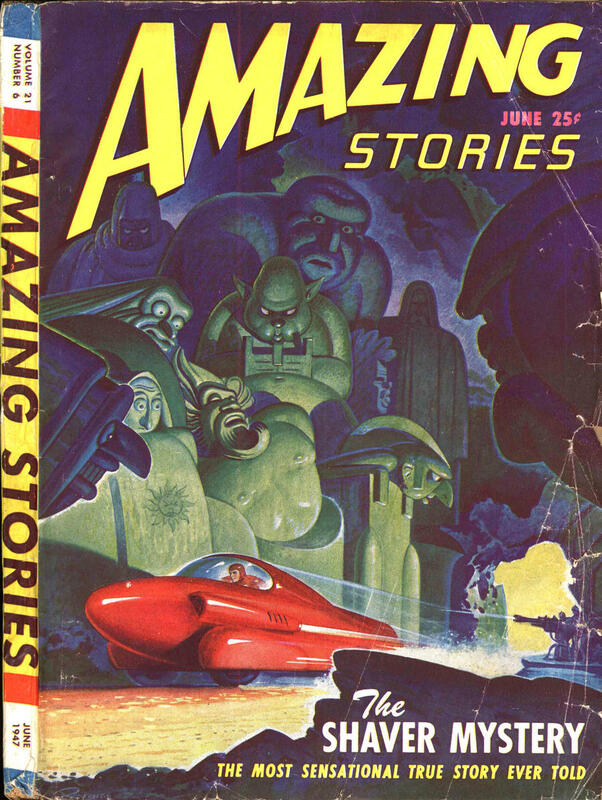 The cover shows a sleek red vehicle traveling through a weird landscape under the baleful gaze of a group of giant and fearsome creatures. Well, a good thing can’t last forever. Palmer himself claimed that the thing just ran its course and stories having to do with the Shaver Mystery just weren’t moving magazines off the racks like they used to. It had nothing to do with the backlash of longtime Amazing Stories readers and writers (including a young Harlan Ellison who claimed that he badgered Palmer into admitting the whole thing was a “publicity grabber”) who wanted the magazine to go back to publishing real SF and not this tabloid dreck. Undaunted by the loss of Amazing Stories as a venue, Richard Shaver and his wife decided to publish their own pulp magazine. The Shaver Mystery Magazine published irregularly and suffered without Ray Palmer’s “sweetening”. 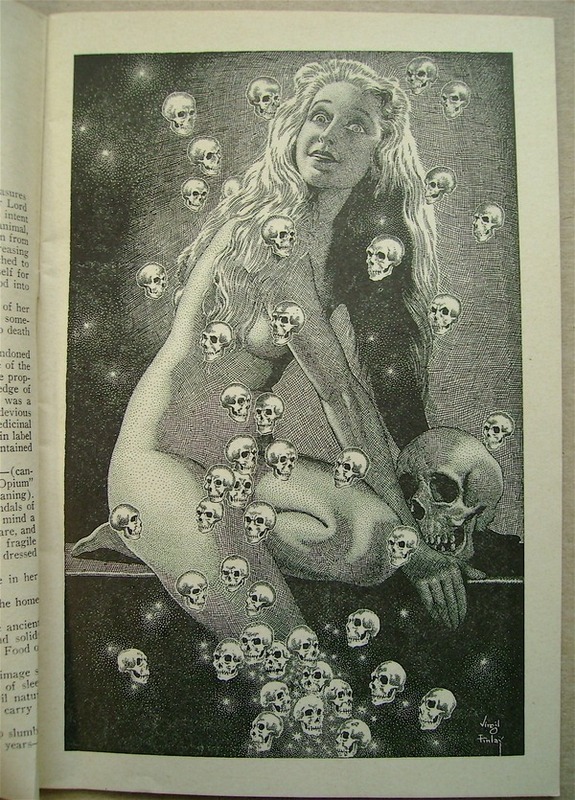 Nevertheless, the magazine did feature some very high quality artwork my H. W. McCauley as well as illustration by Virgil Finley, a perennial illustrator of the pulps. Eventually public interest waned. The wild tales of Richard Shaver were replaced by more believable stories of flying saucers and little men from outer space. It is a fascinating story, though, and interesting to look back on the hysteria that it produced. Even today little remnants of Shaver’s mythology still show up in odd places today, particularly in the work of artist Jermaine Rogers who uses his version of Shaver’s Deros in his concert posters and art prints. His Deros designs have even been made into a line of vinyl toys. As for Shaver himself, he spent the last decade of his life exploring the mystery of “rock books” – stones that he believed had been created by the advanced ancient races and embedded into rocks with legible pictures and texts. Richard Shaver died in 1975 in Summit, Arkansas. 8 thoughts on "The Art of the Shaver Mystery"
The best years of Ray Palmer's editorship came before the Shaver years, even from an art standpoint. Artists like J. Allen St. John and Frank R. Paul appeared more often in Palmer's early years. That was really interesting. Reminds me of what Art Bell did to John Titor (who claimed to be from 2032) on Am Coast to Coast in the late 90's. Fascinating article. I like the idea of a guy writing letters to the editor in which you can't tell if he really believes what he's saying and is therefor probably schizophrenic, or he's just making it up for the hell of it. That a publisher would have the audacity to take the letters, amplify them and turn it into a running series, speaks not only of his exploitative instincts but also the wild times of the pulp era, where just about anything went. You couldn't get away with anything like that in today's uptight politically correct world. A publisher who did that nowadays would be severely beaten about the head and shoulders and boycotted for shamelessly exploiting a poor unfortunate crackpot, or be branded the malicious perpetrator of a hoax. 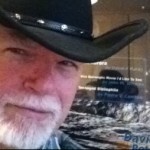 Thanks for writing about it and displaying those great covers. I had only vaguely heard of the Shaver Mystery up until now. Thanks for this entertaining tidbit of SF history.